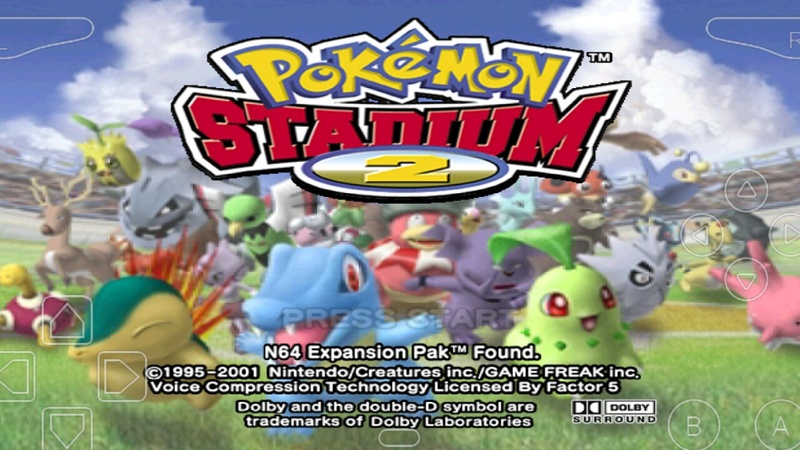 Pokémon Stadium 2 does not have a storyline. Progress can be made by winning trophies in the Stadium, a tournament mode consisting of four "Cups", as well as completing the Gym Leader Castle, where the player earns badges by defeating Gyms specializing in different Pokémon types. When all Stadium trophies have been won and the Gym Leader Castle is completed, the player's rival will want to battle. Defeating the rival will unlock Round 2, in which the player must re-challenge the Stadium, Gym Leader Castle, and the Rival at a higher difficulty level. Set in a new town called White City, the Stadium is home to the Poké Cup, Prime Cup, Challenge Cup, and Little Cup, each having its own rules and regulations. With the exception of the Challenge Cup, the player first assembles a team of six Pokémon consisting of any combination of rental Pokémon or imported Pokémon from a Game Boy cartridge. In the Challenge Cup, the parties of the player and opponents are chosen at complete random. In the same fashion as the first Stadium, each combatant chooses only three of their six Pokémon to use in a battle before beginning. In the Gym Leader Castle, the player is challenged to collect Gym badges by defeating trainers at the eight Johto League Gyms. Pokémon battles follow the same three-on-three format as in the Stadium, and either imported or rental Pokémon may be used to construct a team of six. Each Gym is known for using a specific type of Pokémon, but the Gym's trainers can have Pokémon of a different type for balance. The Elite Four can be battled after collecting all eight badges, and upon their defeat, a rival battle is unlocked. Defeating the rival unlocks the Kanto Gym Leaders and subsequently the Pokémon Champion Red.